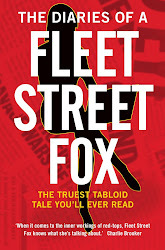 fleet street fox: Bring on the machines. THIS is the week in which, if you believe the Terminator films, machines take over the world. 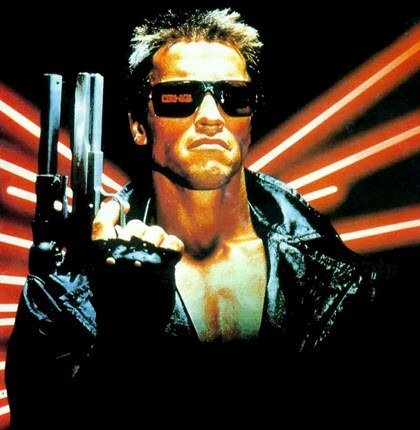 Tuesday, according to the script, was when the computer network 'Skynet' became sentient and on Thursday it's supposed to launch synchronised nuclear weapon strikes, scorch the sky and send the surviving remnants of humanity scurrying underground. It won't, of course. All that will happen is the screen will show 'Error 404: humanity was not found' when you try to log in, and play that annoying 'donk' noise which computers use to tell you you're an idiot. Because Skynet is already with us, in the shape of Microsoft and Apple and 18-month broadband contracts and the grid which only Matt Bourne is able to escape. My first car was an A-reg Ford Fiesta and if it started making a funny noise my dad could put his head under the bonnet, hit things with a hammer, clean the sparks or squirt some WD40 and it would be fixed. If something goes wrong with my car now it has to go to the garage, be plugged into the wall and the mechanic looks at a computer to tell him which circuit's gone phut. Computers run our entire lives. Mums conceive with help of an app on their iPhone, babies are born with everything monitored, and it's almost impossible to earn, spend or work without internet access. If a 14th century peasant saw a modern computer he'd swear it was witchcraft, and it pretty much is - it works with a wave of your hand, these days, and none of us understand it. Even the people who invented them seem dumbfounded when they don't do as expected, and let's face it, Arnie's already running California. And thanks to computers we can do wonderful things. Save lives, bring about a democratic uprising in the Middle East, avoid traffic congestion on the M25. Frankly if Skynet takes over I'd not have much of a problem with it. Look at it this way: the obesity epidemic would end pretty quick, because the fat would die first. Cancer and AIDS would no longer bother us because no-one would live long enough to get either of them, and hey, relationships would be a lot simpler because the only thing you'd expect of him would be to act as a futile human shield when Arnie's coming after you. Plus of course there's a chance the trains would run on time and computers could fix themselves. If the price of that is homicidal self-repairing cyborgs going after women with terrible hair in the USA then hell, I'm in.